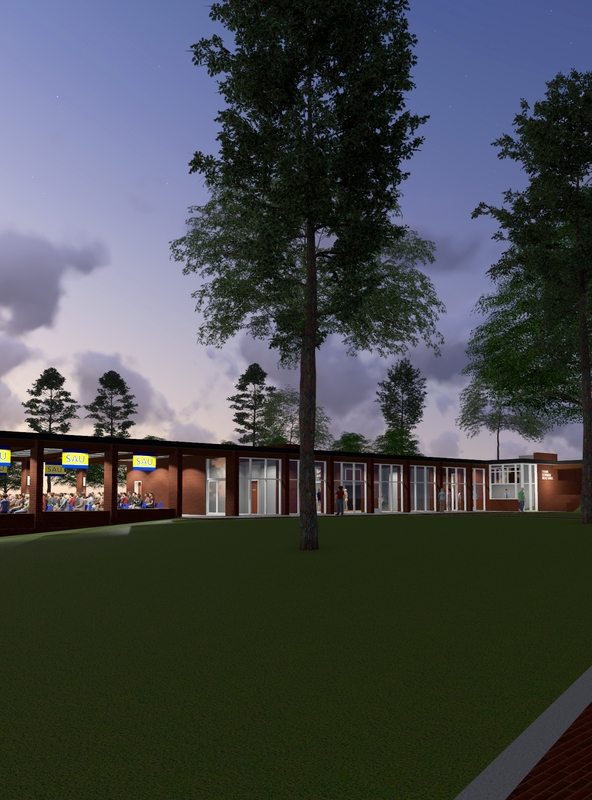 The SAU Alumni Board voted at their meeting on January 5, 2016, to begin construction of the Lusby Alumni Hospitality Pavilion and the new SAU Alumni Center. A groundbreaking ceremony is slated to be scheduled in March. More than $400,000 has been raised or pledged for the center and pavilion so far, and the three-year capital campaign will continue until complete funding has been reached. The multipurpose structure is designed to build lasting connections among the Mulerider family and surrounding community. 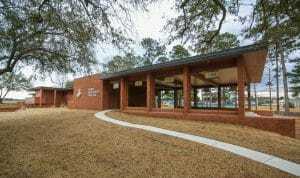 The pavilion will extend from the formerWelcome Center, and will accommodate a gathering of 250 people with indoor and outdoor areas to provide all the needed services. SAU alum Rodney Parham ’81 of Polk, Stanley, and Wilcox Architects in Little Rock said he was honored to be asked to work on the design and transformation of the former president’s home into the new SAU Alumni Center. He explained that this pavilion will cater to the present and future needs of SAU, the alumni, and the community. The large, open-concept design is to accommodate the record enrollment and the growing amount of alumni in upcoming years, he explained. This facility will be unique to this part of south Arkansas in that it can be rented to the public for weddings and business or social events. Of course, the new facility will host SAU’s popular “Mulegating” festivities in conjunction with each home football game. The money given so far has offered naming rights for the pavilion and other important areas of this new facility. SAU alumnus Laura (Lusby) Winning ‘83 and her husband, Kyle, earned naming rights with their donation to the pavilion. 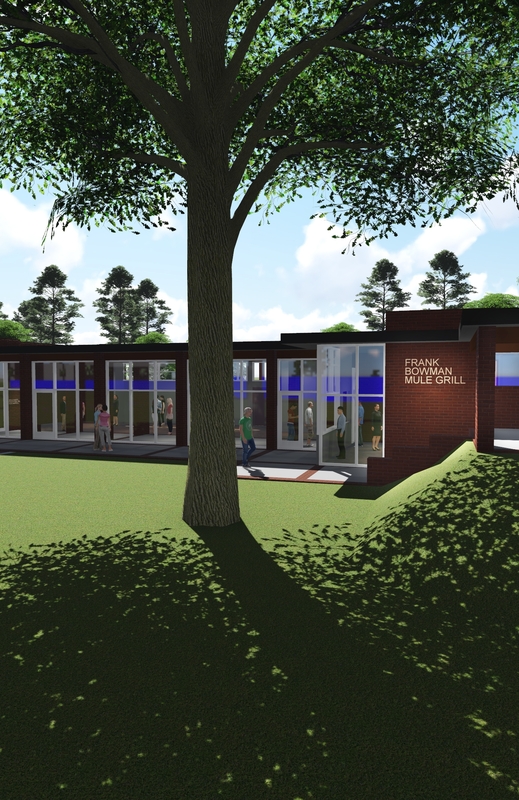 Ron Harrell chose naming rights for the “Molly Ann Reception Hall” in memory of his late wife Ann (Furr) Harrell ‘57. 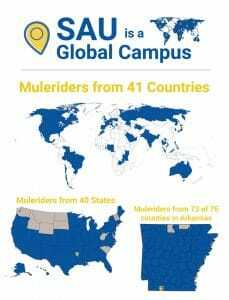 This area will display the history of the University and will commemorate the mules that have carried SAU’s Mulerider mascots. Jeanne Bowman Franks has naming rights of the catering kitchen in memory of her late husband, Otis A. “Buddy” Franks ‘54. 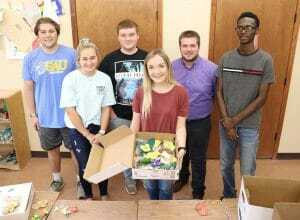 Mr. Franks was SAU Board of Trustees Chairman, and was original organizer of the World Championship Steak Cook-Off held at the Magnolia Blossom Festival. The Franks Bowman Mule Grill will hold the history of Buddy’s love for his community, horses, and mules. Bill Anderson ’81 was the first at the $5000 donor level. 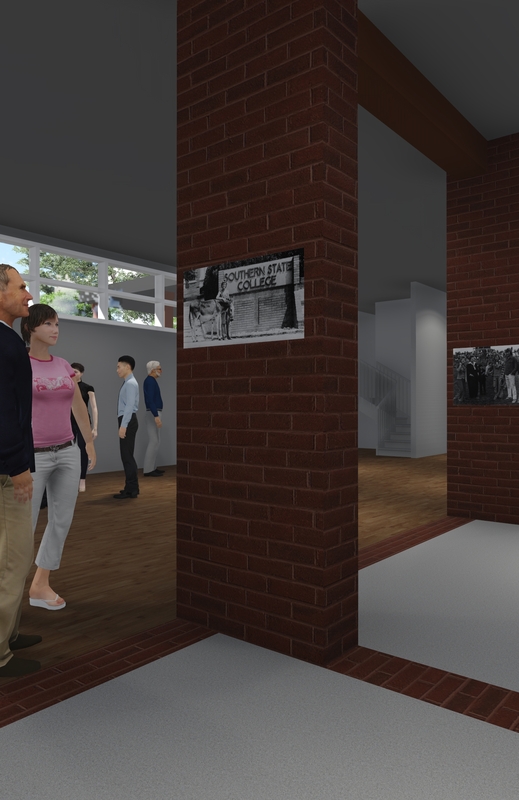 A donor wall will list recognition of all who give $5,000 or more to the pavilion. Contact Bridges at (870) 235-4092 to become a part of this exciting and campus-changing experience. The Alumni Office would also be delighted to add your name to the “Legacy Lane,” which connects the Alumni Center to the Alumni Bridge, Wilkins Stadium and the SAU campus. A brick with your name or personal message can be purchased for $125.